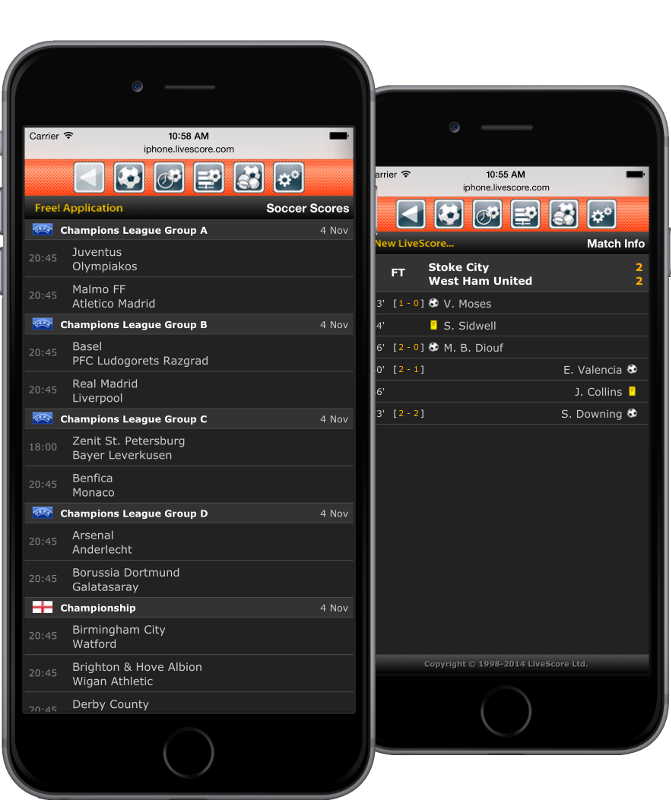 Building on the success of our LiveScore iPhone Web Application released in January 2009, we are now excited to announce the release of our new iPhone & iPod Touch native application. The features and functionality of both applications are similar however the main difference is that the Web Application is an optimized mini-website while our new Native Application can be installed directly on your iPhone or iPod Touch (first it needs to be downloaded from Apple iTunes App Store). We have decided to go one step further in offering you installable application that runs natively on your iPhone & iPod Touch and as such is easier to use, more responsive, with optimized and minimal data transfers. 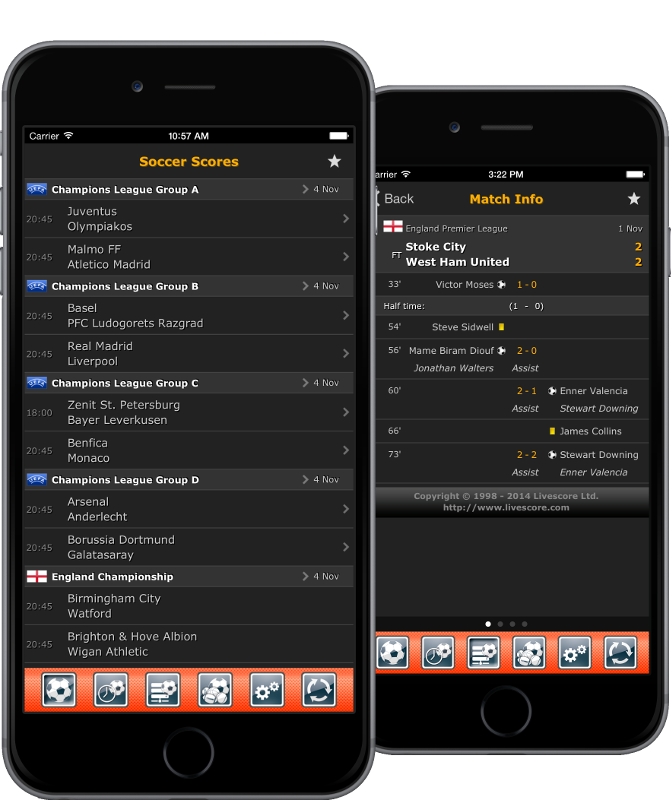 The new LiveScore native application is currently available for free download from the Apple iTunes App Store. In June/July 2014 the biggest sporting event in the World will take place in Brazil. Follow the World's biggest football Cup competition on your iPhone, iPod Touch & iPad with our live soccer / football scores, live group tables and more, directly from the source, the 1st live score service on the Internet, powered by LiveScore.com since 1998. The World Cup 2014 application comes directly from LiveScore Ltd., the leaders and inventors of real-time delivery of live sport data and owners of the no.1 ranked football / soccer web site globally. Enjoy the excitement on your iPhone, iPod Touch & iPad same way that 50 million users are enjoying our existing online services every month, and become part of our network. Our standard LiveScore iPhone, iPod Touch and iPad application has been downloaded by 12 million users and consistently ranks as no.1 Sports application in +/- 25 countries. You can all now enjoy the biggest sporting event in the World in more detail on our latest product, the LiveScore World Cup 2014 App.